The first time I went to Washington D.C., I was the "chaperone" of a four year-old and an infant. We had such a great time there (or at least I know I did) that my family and I moved out to the area less than a year later. Having said that, I really enjoy when books take place in The District. :) Today's guest, Sara Benincasa, has delivered up what sounds like a fun and hilarious visit to the Capitol in her latest novel, D.C. Trip. Also, she's really friendly based on our e-mail banter over the past few weeks. She has a lot to say about dessert and candy, so prepare for a sugar rush! 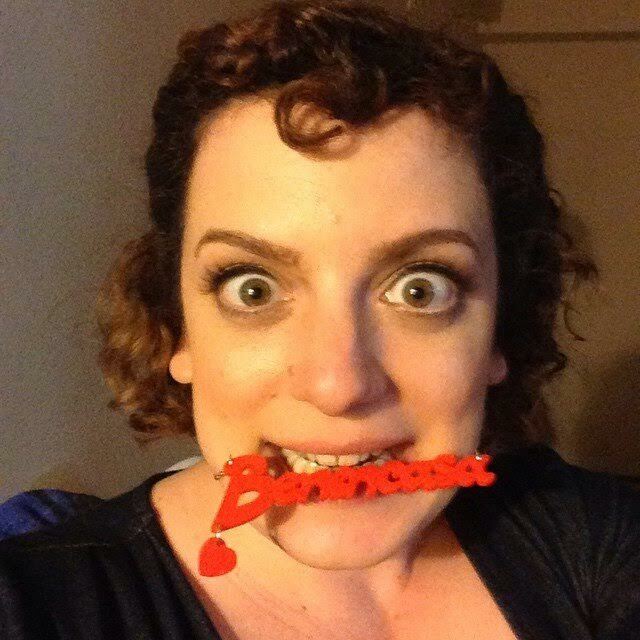 Sara Benincasa is an award-winning comedian and author of Great and Agorafabulous! : Dispatches From My Bedroom (William Morrow/HarperCollins), a book based on her critically acclaimed solo show about panic attacks and agoraphobia. Visit Sara at her website, Facebook, and Twitter. Thanks to Adaptive Studios, we have THREE copies of D.C. Trip to send anywhere in the world! An honest and irreverent journey of sexual confusion, bar shots, drag queens, and pot cookies in the Rose Garden. Alicia Deats is a new teacher chaperoning her very first high school trip to Washington DC, and nothing could be more terrifying than a class full of horny, backstabbing, boundary-pushing teenagers under her watch. 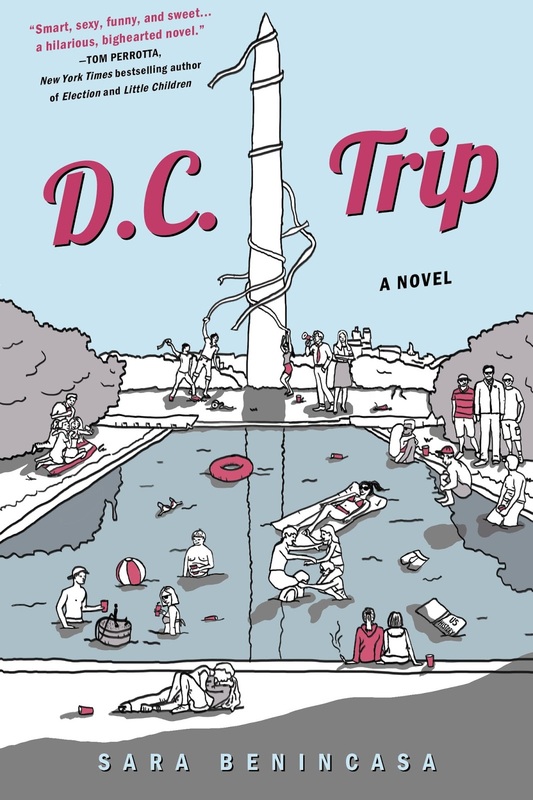 Alicia believes in positive reinforcement and trust to keep her students out of trouble, but best friend high school sophomores Gertie, Sivan, and Rachel have a different idea: they plan to take full advantage of the un-parented freedom that a trip to DC offers. Check out the book trailer. 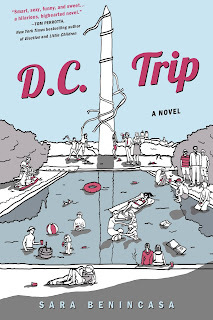 And speaking of trailers, D.C. Trip is being adapted as a movie! Kit-Kat. In any mood. Often in the bath. Frozen is the best. I'd say Christmas is a really solid holiday for variety of desserts AND candies. My favorite dessert is my friend G.'s Christmas cookies. She makes at least three hundred each year to give to friends. She is also a hairdresser at Bang'z in Somerville, NJ and she is great and she has been doing my hair for thirty years. At a certain point in Amelie, she talks about how delightful she finds it to crack the surface of a creme brûlée. I love that so very much. Give me some Pillsbury crescent -- you know, the ones with the dough that is pre-cut and you roll it up? Okay, so gimmee that. I'm gonna put some cinnamon on the dough and some sugar and then roll it up and brush the surface with a tiny bit of olive oil and throw on some more cinnamon and sugar. BOOM! Cinnamon rolls. That's as fancy as I get. I'm obsessed with Cheesecake Factory and I tweet at them so much. They're very patient with me. They finally sent me a selfie stick to be like, "If you love us so much, TAKE A PHOTO OF IT SARA." So I took a bunch. I tend to go with their S'mores flavor but I'm open to anything they do. Salted crack caramel ice cream from Ample Hills Creamery in Brooklyn, NY. It is awesome. Runner-up: salted caramel ice cream from Fort Grace in Fort Greene, Brooklyn. Thanks to Sara for chatting with us and Adaptive Studios for sharing her book with our readers. Open worldwide. Giveaway ends November 16th at midnight EST. It took me a few minutes to think of a movie with desserts. But then it came to me. The holiday movie Serendipity. Home Alone 2?? Ice cream. Waitress is delightful and filled with delectable desserts. Has to be Chocolat with Johnny Depp. Cloudy With a Chance of Meatballs is the only thing I can think of!! Definitely Willie Wonka and the Chocolate Factory.